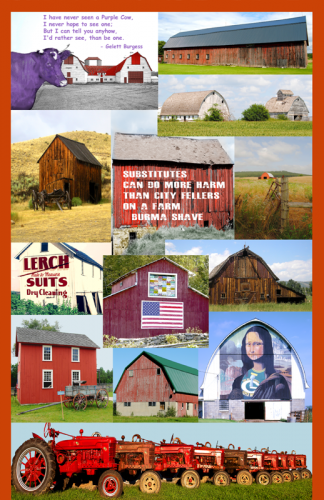 As part of our Americana series this original piece celebrates our farmers and some of the great barns across the United States with a little whimsy thrown in for fun. Collage is comprised of restored and colorized vintage images, as well as current photos. Composition by Kathy Weiser-Alexander.